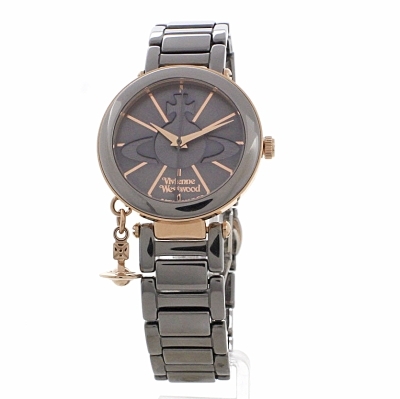 Vivienne Westwood Kensington VV067SLTI is a beautiful and interesting Ladies watch. Case material is PVD rose plating while the dial colour is Silver. 30 metres water resistancy will protect the watch and allows it to be worn in scenarios where it is likely to be splashed but not immersed in water. It can be worn while washing your hands and will be fine in rain. The watch is shipped with an original box and a guarantee from the manufacturer. 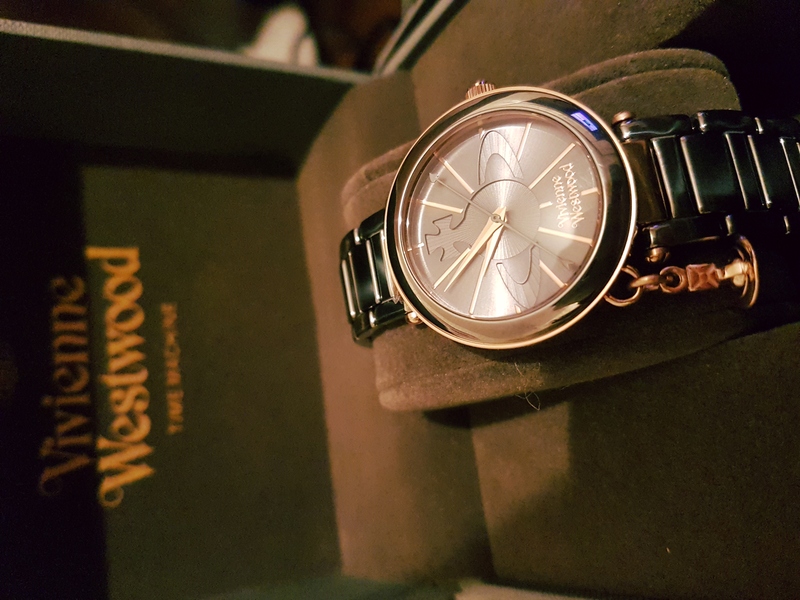 A very attractive watch, definitely one of the classier Vivienne Westwood watches great to go with any outfit - however, unfortunately if you have a smaller than average wrist you cannot wear this. only a maximum of 4 links are removeable, the rest are perminant and the manafacturers themselves wont be able to do it, the best watchmakers in London wont attempt to do it as its ceramic. unbelieveable that this watch has such a huge flaw, it cannot be resized beyond a small/mid small size! Beautiful colour. Looks gorgeous. However there is a fit issue as the way the watch has been designed it does not allow more than 2 links to be removed. This is not great for anyone with a small wrist. There is the option of sending it back to get another bracelet put on which does allow more links to be removed but this process takes 4-6 weeks. Style is very beautiful however, just remember that if you have a smaller wrist you will not get your watch straight away due to adjustment. Many thanks for a great service. The watch was very well packaged and arrived very quickly. Absolutely beautiful watch. Bought for my 23 year old fiancees birthday and she loves it. It feels weighty and of very good quality, a very nice finish on the watch as well. Would definitely buy another VW watch, this was the first Id bought but wont be the last. Outstanding next day service from WatchShop as well, cant fault anything from the order process right up to delivery.